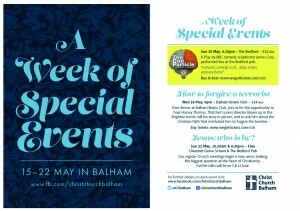 We are in the middle of a week of special events, we had a great evening last night with The God Particle and this Wednesday we are inviting people to come and hear an after dinner talk from Harvey Thomas, a man blown up by an IRA bomb and who sort to forgive and befriend the man who set it off! Best of all, we're starting a series looking at Jesus, who he is, why he came and what he requires. 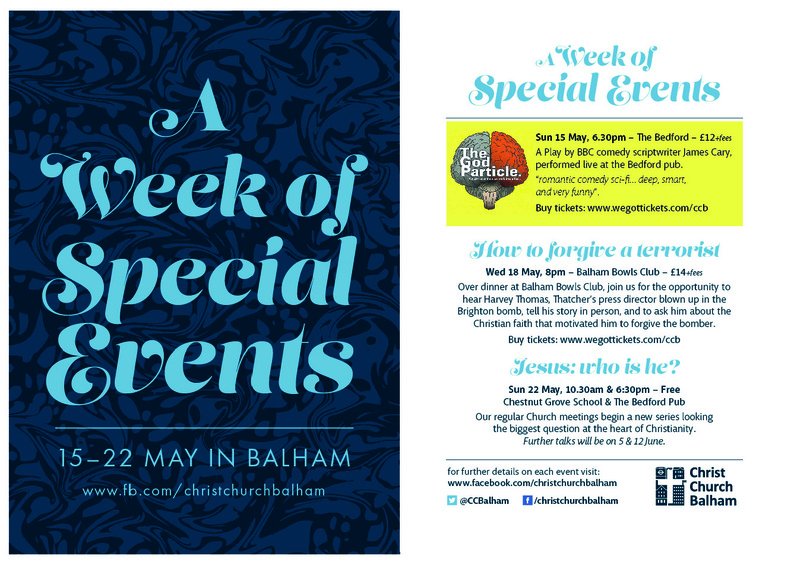 If you missed the first two events, why not come along and see what the bible says about the man at the centre of our faith.